What is the self-noise floor? The TR-ORCA offers exceptional acoustic data quality. 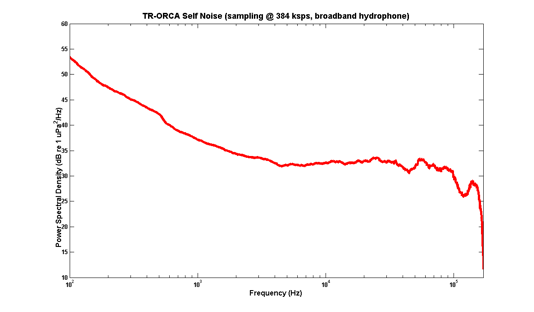 The plot below shows the self-noise floor of the TR-ORCA using hydrophones supplied with the base TR-ORCA package.